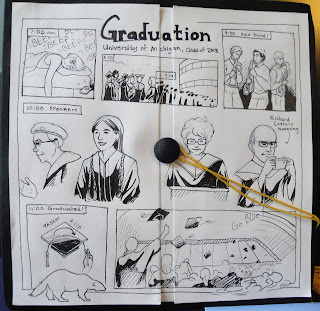 Recent Umich grad, Quinn (no last name listed on tumblr), drew this awesome cartoon on top of her mortarboard during last Saturday's graduation ceremony. Pretty freaking awesome. I really like the little wolverine rolling around on its back in the bottom right corner. 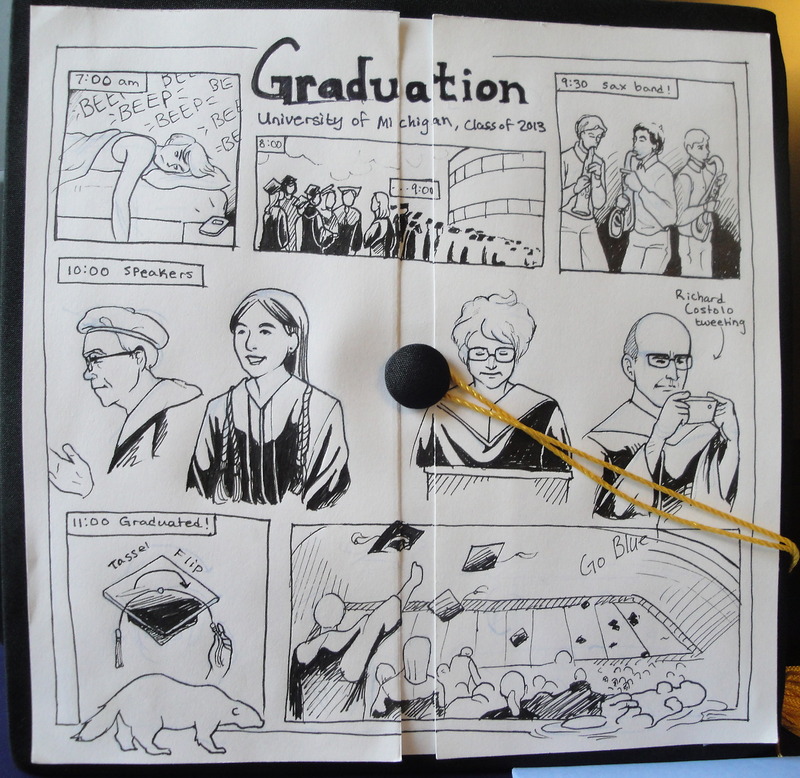 Congrats class of 2013.